Racquet that plays like Pure Drive but lower RA? leave your PD in the car in the summer heat for 2-3 weeks. All the above plus prince beast 100, or stiffish but not as much as a Pure Drive , Yonex Exone 100. There’s 98” versions of these too which are softer. Volkl V-sense might be an option. Volkl V-Sense 8 315g was a good transition racket from my Bab PD+. Very comfy, good power, reasonable spin. PD+ did a little bit more of the work for me but the VS8 has kept my arm healthy for the past year. If you have a poly or poly hybrid in there, I'd say get rid of it right now. I've seen arm-troubles with a couple of local pals through recent years - decent players - who strung their PD's with poly or a poly hybrid. One guy was a former college player who had a ferocious case of tennis elbow that put him out of action for a few months. After mending and returning to the courts, he kept his frames (specifically the Pure Drive Roddick) and switched to full beds of natural gut. His recovery was borderline miraculous. Another younger slugger on the high school team I coach had a run in with golfer's elbow - he was playing a standard PD strung with a full bed of RPM Blast. After he switched to a 15L gauge of multifiber, his elbow was nearly 100% within about two weeks. I'm generally convinced that most any racquet will play much more comfortably with a softer string type. That could even be a simple synthetic gut if somebody doesn't want all the extra softness that comes with something like a multifiber. Enough about strings. Several of our pals here who have switched away from the PD looking for a more comfortable alternative have done well with the "8 Series" Volkls. The current V-Feel 8 is offered in three different versions; 315g, 300g, and 285g. Volkl's V1 is also considered to be and arm-friendly middleweight, but some versions have a slightly larger head size than the Pure Drive - maybe an issue for you. I would also expect something like the Yonex EZONE 98 305g to work very well as a more cozy alternative to a Pure Drive. Even though this Yonex has a slightly smaller hoop size than the Babolat PD, the "square-ish" shape of Yonex frames seems to make them play a little bigger than a more traditional oval-shaped racquet. So that EZONE 98 could be about right in terms of size, and its flex rating looks significantly softer than the Pure Drive, too. Also have it restrung 100x if you can afford it. Just look for stuff with thicker beams, primarily in the hoop section. Every brand has a model that fits the bill and most will have a lower RA than a pure drive. I have my own stringer... but will that really help?! Exposing your racquet to extreme heat will break down the resin or glue in the frame. That will help to soften the frame up. Restringing a racquet causes micro tears in the graphite fibers. That coupled with weaker resin/glue will soften the frame up for sure, but I'm not joking that you'd have to restring it an awful lot. Head graphene 360 extreme S with 15 grams silicone inside the handle. Sounds ridiculous to most but the 26 pd is 64 RA . And it plays just like the pure drive except it’s softer. And lighter .. I think some pro stocks may be doing this too . And no I’m not kidding ..
wow that's sounds pretty awesome to me! Babolat Soft Drive with Silicon in the handle. A less stiffer racquet will always play differently. So you could string your pd with a less stiff string. The yonex poly tour pro is rather comfy. Another solution to buy a gripsize smaller and use a thicker basisgrip that absorbs more of the shock. Head Extreme 360, Yonex Ezone 100, Prince Beast 100. If you have issue with the elbow, and you search absolute confort , I would say Prince Beast 100 O3 , the Volkl VS8 , and the Pro Kennex Ki 10 . Or perhaps the Volkl V1 Classic with some lead , or the new Clash with natural gut . Wilson Clash Tour will fit the bill quite nicely. Volkl 8 series. Plays similar and has a similar RA but plays softer than RA. Reviews for that racket are all over the place. Some describing it as a wet noodle and others saying it has oodles of power. Probably because its a wet noodle with a high launch angle to compensate. I'd demo that frame before buying given the lack of consensus about its nature. Most agree its comfortable though. I demoed the Prince Beast 98 and it was a rocket launcher! I can't speak for the 100 version but the 98 does have a lower RA and the stability was incredible. 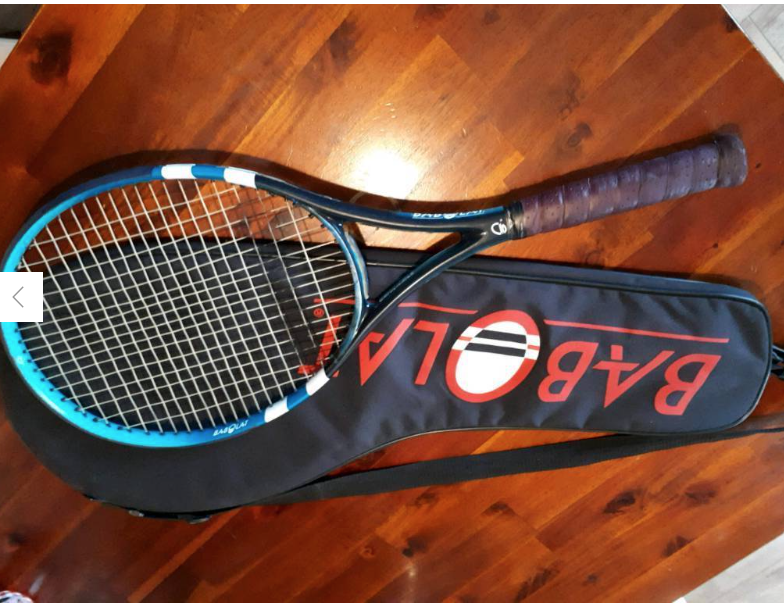 Your technique, string type and tension, grip pressure, etc. Are factors in elbow discomfort. You can change to a softer racquet, but that may not necessarily alleviate the problem. I was a play tester for it and still use it right now. I love it. Lots of spin and lots of comfort. Yes the flexibility makes it feel "lower powered" but I like that I can swing out and harder without having such harsh vibrations. I was lucky enough to get a Clash but its the regular version I am stringing it tonight with Y Tex Quadro Twist and will see how it plays. Thanks! So in other words its just like a Pure Drive but lower RA. Precisely what the OP was asking. So basically its a Prince Phantom? I'm still waiting on final release and some play tests from the TW staff. It's hard to imagine you can design a racket with that flex and still has stability and power at such low weight. I imagine its a lot closer to the Ultra Tour that needs some weight. 11.6 ounces is not a super low weight. I would try a natural gut/poly hybrid first. A club-mate of mine plays with a 2015 PD but with gut/poly. No issues. Just sold my pure drives... Testing out Wilson Clash and Yonex Exone 98 with lead at 3 and 9. Thanks for everyone's help!